Users of old iMac machines who for the last couple of years have been waiting patiently for Apple to unveil a refreshed machine before upgrading were finally able to feast their eyes on the latest model last month when Apple unveiled a shiny new, and rather thin (at the edge, at least), design. Shipping dates were set for November for the 21.5-inch model and December for the 27-inch model. 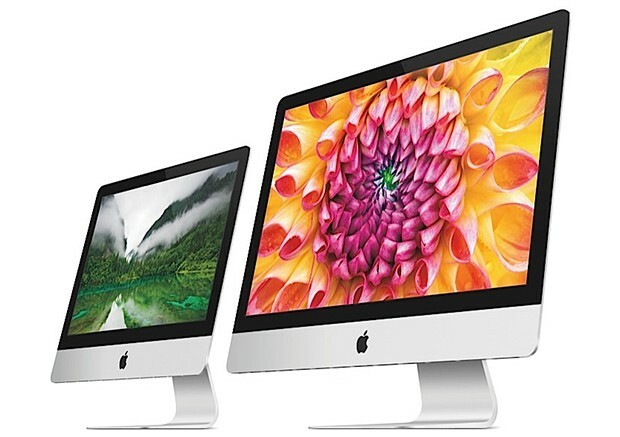 Many of those iMac users have no doubt started to make plans for their older machine, whether it involves giving it to a friend, using it as a giant paperweight or simply consigning it to the attic. Well, those plans might have to be put on hold for now as it appears the launch of the new machines may have been pushed to 2013. This will come as a big disappointment not only to those hoping to purchase a new iMac, but also to Apple executives who’d been looking forward to healthy sales of the new computer during the upcoming holiday shopping season. French Mac-specialist blog MacBidouille says it has learned from a “commercial source” that Apple has delayed the launch of the new iMacs because of issues with its advanced welding process – possibly so advanced that it hasn’t quite got the hang of how to do it yet. The process, called ‘friction stir welding’, uses high heat pressure to create a seamless joint in the iMac’s frame. Apple Insider pointed out in a report on Wednesday that other challenges for manufacturers include the screen’s lamination process, which gets rid of a tiny air gap between the iMac’s display and front glass, which was present in previous versions of Apple’s desktop computer. “In August, KGI analyst Ming-Chi Kuo reported that the process is more involved with the 27-inch model and would cause supply constraints for the initial batch of machines,” Apple Insider wrote. The iMac’s page on Apple’s website displays a “coming soon” badge, while the online store continues to show a November shipping date for the smaller iMac and December for the larger one. If MacBidouille’s source turns out to be correct, we can expect to see these dates change soon.